Microsoft just turned 30 recently. For the past 25 years or so, the world’s largest software company has more or less dominated the mass market PC software industry in almost every way. To call Microsoft a successful company would be an understatement. If something is done on a computer anywhere in the world, chances are Microsoft products were involved in some way. But there is at least one Microsoft product that just, well, never quite caught on. In fact, it bombed famously. 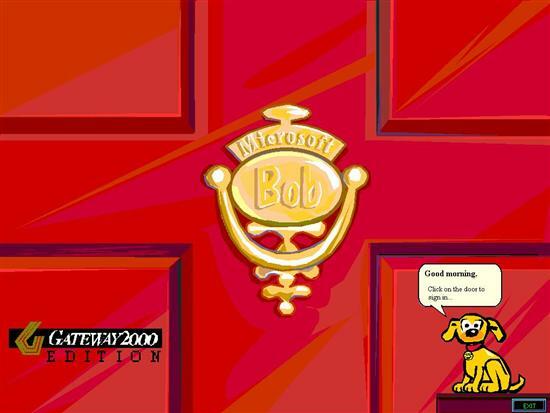 I am speaking of none other than Microsoft BOB. In this review we take a look at a product that sold so poorly it was actually cancelled after just one version, 1.0. Was it really as bad/stupid/awful/embarrassing as computing lore would have us believe? Although BOB does work in 3.11, we ran into problems with the Virtual PC Trio64 display drivers we had for 3.11 that caused annoying screen artifacts in BOB. The tricky part, of course, is getting a copy of BOB as it has been out of print for nearly ten years. We’ll just say this: BOB is out there. Installation is pretty straightforward. BOB is a Windows program and runs on top of – rather than replacing – the standard Windows shell. The BOB installation program is a standard installer and only requires basic information. BOB setup adds a program group for itself and then asks for a reboot. 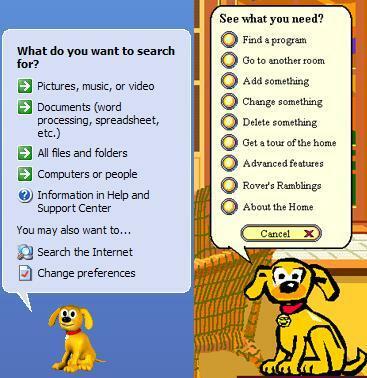 Did Rover have puppies? We certainly hope not. We will come back to rover.